And many comments about how amazing to see this. Of course, it’s a composite photo that was created to illustrate the phases of tornado development. 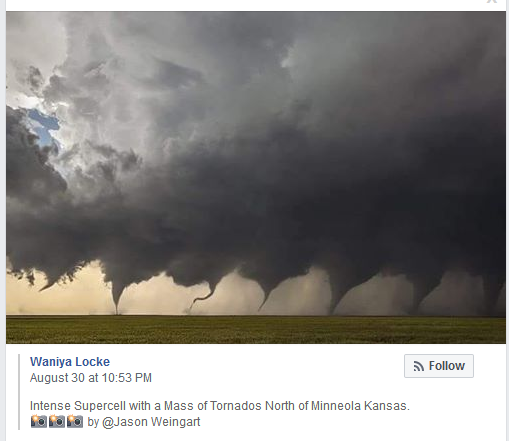 The composite photo was taken from the Wikipedia page for Tornadogenesis. But since it’s on social media, it must be true!